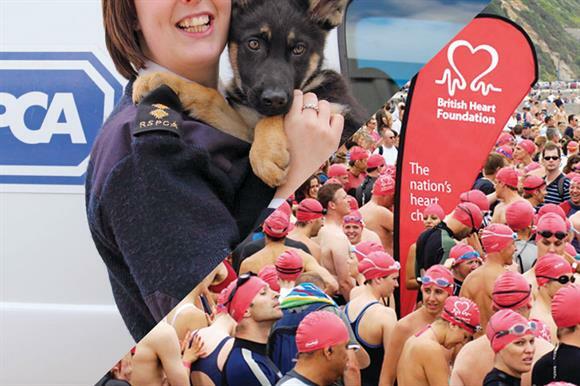 The RSPCA and the British Heart Foundation have both decided not to appeal against a combined £43,000 of fines levied against them by the Information Commissioner’s Office for contravening the Data Protection Act. The charities said in early December that their trustee boards would consider challenging the ICO’s decision to fine them after it uncovered several breaches of the act during a 15-month investigation into data protection practices. But in a statement posted on the charity’s website last month, Simon Gillespie, chief executive of the BHF, said the trustees had decided to pay the fine "in order to close the matter and on the grounds that the unrecoverable costs of even a successful appeal would amount to more than paying the penalty". He said the amount had been reduced from £18,000 to £14,400 due to "swift settlement" of the case and that this would be covered by a small group of supporters who had approached the charity offering to pay. "They also believe it is unfair and unmerited," Gillespie said of the supporters. "They are keen, as are we, that no general donations are used to pay the penalty but instead continue to be applied to the fight against heart disease." Paying the penalty would avoid "what would no doubt be a costly and time-intensive appeal process, distracting the BHF from our core work and key goals", he said. Gillespie also repeated his statement, made when the fines were first announced, that key aspects of the ICO’s decision and findings were "wrong, disproportionate and inconsistent". He reiterated that as recently as June the ICO had been unable to suggest any improvements to the BHF's information-handling practices and had said it did not view the charity as a data controller of concern. A spokeswoman for the RSPCA told Third Sector today that the animal welfare charity had paid a reduced penalty of £20,000, saying it could not ignore the fact that the amount would be reduced from the original £25,000 if paid early and the likely costs of the appeal might exceed this amount. She said the money was paid from the charity’s investment income. "We wanted to move on from the decision and not be distracted from our vital animal welfare work by an expensive and time-consuming appeal process," she added. On its website, the ICO says in guidance on monetary penalties that those who pay their fines within 28 calendar days of a penalty notice receive a 20 per cent discount. "This early payment discount will not be available if a data controller or person decides to exercise their right of appeal to the First-tier Tribunal (Information Rights)," the guidance says. The charities were punished for a series of breaches, which the ICO said included disclosing hundreds of thousands of personal data records through the Reciprocate programme run by the list broker ResponseOne. Third Sector revealed yesterday that Reciprocate closed in June. The RSPCA and the BHF are the subject of compliance cases opened by the Charity Commission at the conclusion of the ICO’s investigation.